During the Spring 2015 semester I embarked in an interdisciplinary project during my Cyberinfrastructure Applications course. The nature of the course is to join science students from other ares with computer science students and try to produce applications to solve problems that the scientists may have by using Semantic Web technologies. Earthquake data from the USGS Earthquake Archive. Weather data from the NOAA. The ability to map temporary data, considering the time dimensions used in geology. We obtained this from the See Grid Observations ontology. Our first result was the GeoField ontology, which we made available on iLink’s (our lab) ontology repository. During the summer, we worked hard to prepare the paper about this research for the upcoming 2015 CAHSI Summit, a conference which joins Hispanic students with computing leaders both from science and industry. Happily, we were accepted for the conference with very good reviews: we were selected for oral presentation amongst the five better evaluated papers of the conference. The paper and poster, entitled Towards semantically integrating data to enhance a field trip experience, are available at the page of the conference. 2015 CAHSI Summit “Building a diverse and innovative workforce” Proceedings. 2015 CAHSI Summit program (Indicating the oral presentation of our paper). 2015 CAHSI Summit poster abstracts. Poster: Towards semantically integrating data to enhance a field trip experience. 2015 CAHSI Summit Paper Proceedings. Sadly, due to an unexpected family situation, I could not attend the conference to showcase our work. This is a watershed for me, because this is the first paper I publish as first author and hopefully we will continue with this effor to better integrate this diverse information to provide it for scientists to use. On August 14th, I was lucky to visit my hometown. The authorities from my beloved school, the Facultad de Ingeniería of the Universidad Autónoma de Chihuahua invited me to attend the 2015 Forum of Experts in Software Engineering, a half-day conference cycle in which several Software Engineering professionals gave their viewpoint about the realities and expectatives of one of the more famous branches of the Computer Science / Information Technologies profession. After the conferences, I was invited to join a discussion group of actual and former students of the Virtual Software Engineering Bachelor that we offer, in order to listen to their experience, the situations and problems they had. I was glad to meet such hard working and dedicated students, since they are already working but still want to obtain a degree and work hard for it, even sacrificing time with their family, a situation I certainly share with them. Three years ago I embarked myself in an adventure called NaNoWriMo (National Novel Writing Month), which calls anyone who wishes to try to write a novel or 50,000 words of a novel during the month of November. I had heard about the project years before, but finally managed to join for 2012… and I was sucessful. To forced myself to write a little over 1500 words average a day, while working 2 jobs and just having married was a great experience. The final product needed (and still needs) a big editing effort, but at least the main part of it is already done. Now that I think back, I have the feeling that having such a focus somewhat relates this effort and commitment to my PhD endeavors. * Implement a complex algorithm. * Perform a survey relating my own research field with Computer Architecture. * Develop a bussiness plan for a cell phone app powered by IBM Watson. * Write a report for a graph database implementation which georeferences geological characteristics. Therefore, my minimal objective is, of course, to produce the final reports for each of these activities. * The IBM Watson app. 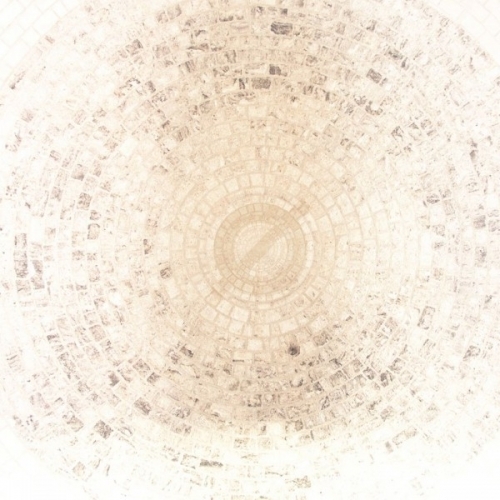 * The graph database implementation. * Complete a brief survey about how to translate data base constraints in an ontology (brief paper). * Produce a poster about an interdisciplinary field trip I attended (poster). These four I will work during december and january (Seasons Greetings), once the classes are over. So, there it is. I will be posting about my advances during upcoming novembre. I better start reading and developing as much as I can in these three more days! 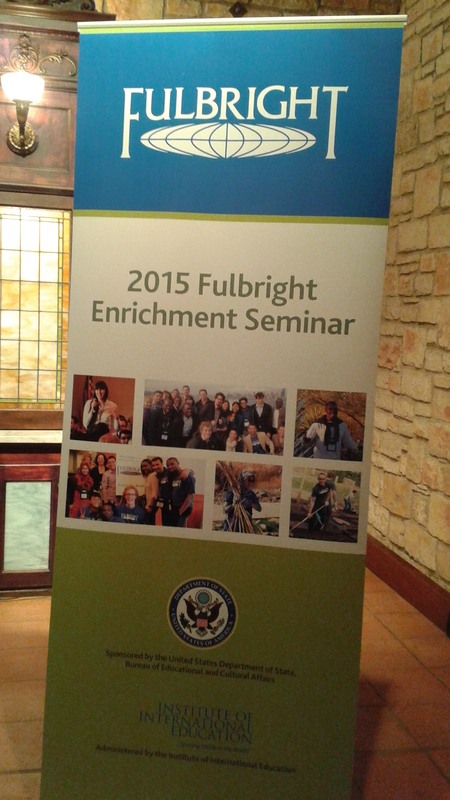 As I said in my previous post, I could not attend with the rest of my Fulbright-García Robles fellow generation to the reception that the Secretaría de Relaciones Exteriores prepared as a farewell for us, so in a way I was not able to truly feel like a Fulbrighter, until the 2014 Austin Fulbright Enrichment Seminar. The US Department of State hosts several Enrichment Seminars for the international students in the US. I was selected for Austin’s, being the topic Civic Engagement. One of my wishes for my PhD is to go back to Mexico and help improving Computer Science education and research in my university and in my community. I can figure why they selected me for this specific seminar. So there I go, having to finish earlier my semester to travel to Austin, Texas for three days, and I finally was able to live the Fulbright experience, being able to meet so many brilliant students from all over the world working truly hard and sacrificing themselves for a dream of academic excellence. I must say I was also sadened because all of them are very far from home and family, while I am fortunate enough to be able to get my car and drive to see my folks in a little over four hours. It is part of the sacrifice when you want to do something that is worth. My recognition to each and every one pursuing this dream. After we went to the hotel, and registered, we had some free time before the activities started. I walked the nearby streets looking for something to eat and got some pretty good pulled pork at Stubb’s. I would definitively like to attend a concert someday at the venue. I was also amazed on how green it was all around. I’m living in west Texas, where everything is really arid, but here in the center of the State it is truly beautiful and green. The topic of Civic Engagement is one with which I am familiar because in my country we have a big discontent with our government and politicians due to corruption, scandals, lack of noticeable work, populism… Our societies try to get away from such activities because people are fed of all that, and do not trust neither democracy nor the government. The seminar was a lot about trying to bring hope again, and show that, though hard as it may be, we still have the power and can regain it… and we should do it by means of thepolitical process, legitimizing the will of the people. The seminar started with a delicious Salt Lick texan barbeque dinner (the best I’ve ever had) at the Thurman’s Mansion with keynote speaker Larry Schooler, an engagement consultant, giving us points on the importance of engaging in civic activities and how to do it having respect for the political process. 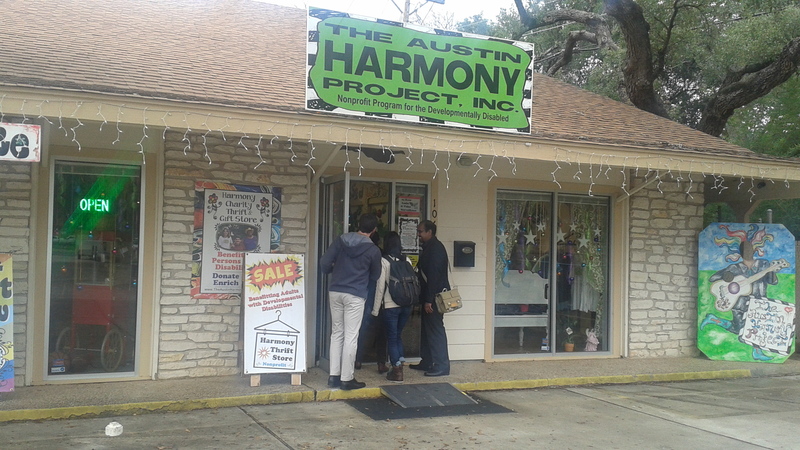 An specially emotive visit to the Austin Harmony Project, an effort to help people with learning disabilities through music. I must confess that I was never very conscious of developmental problems until I met my wife, which is an autism therapist, and through her I have become interested in such topics. Being able to visit the Harmony Project was just the right thing for me. A home hospitality activity, in which we were divided in small groups and dined with local families. This was such a great experience, getting to know local people, talk about my other country, about Austin… I really enjoyed this activity. 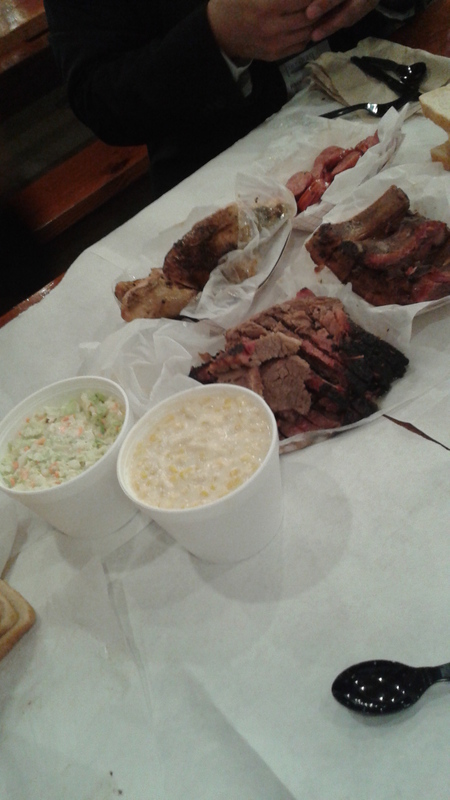 Some more good texan Barbeque, now from Rudy’s. Finally, what struck the most was meeting the other Fulbrighters. Most of them were younger than me and doing their masters, but each of them where brilliant, hard working and driven, without being unscrupulous such as most of the very-driven people I’ve met before. On the contrary, they were all very concious of the opportunity bestowed to us, and were set to make the most of it, in order to bring something different to their countries. Also, they were proud of their culture and would share it gladly with anyone around. The symposium was just three days, but it certainly was intense in the personal sense. I really think that being a Fulbrighter leave a mark on you; a mark of awareness to go further, not only for yourself but for those around you: your family, your region, your country. 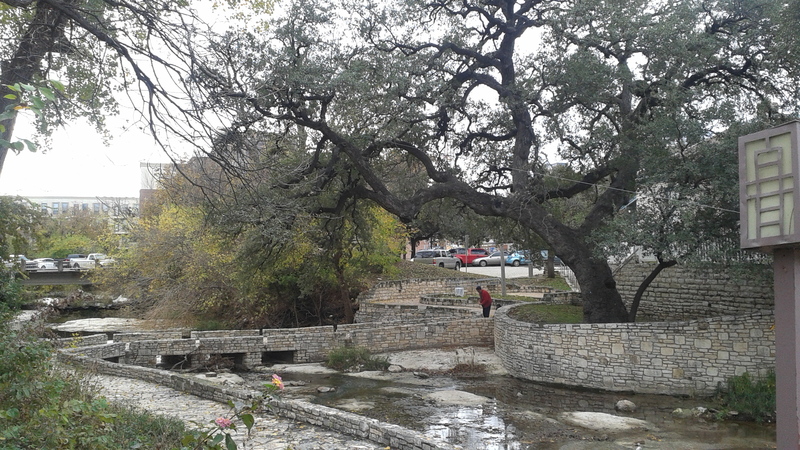 Luckily, during the symposium we had some free time to walk around Austin. I visited the State Capitol (the second I have visited, after California’s some years ago). I regret not going to the river. 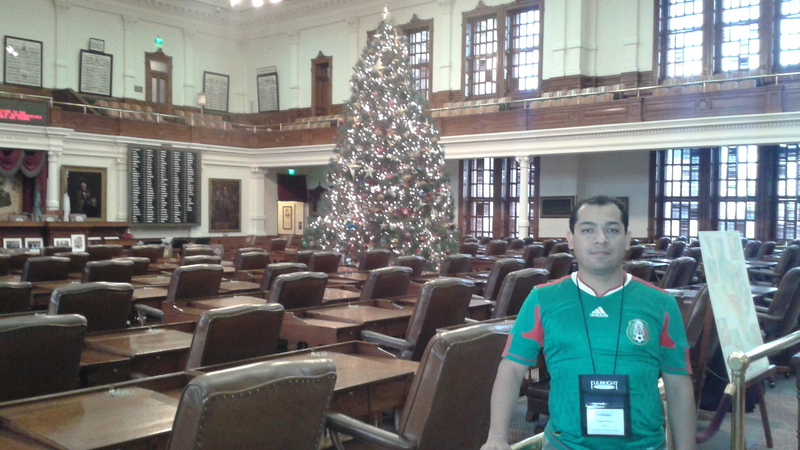 At the Texas State Legislature. 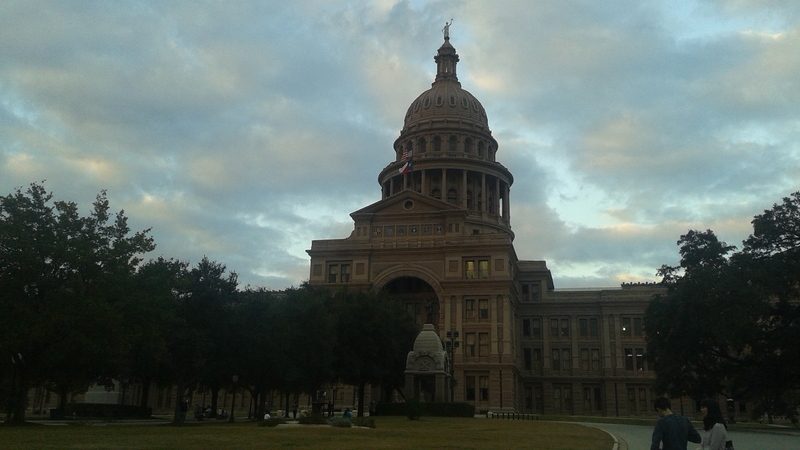 A view of the Texas Capitol. 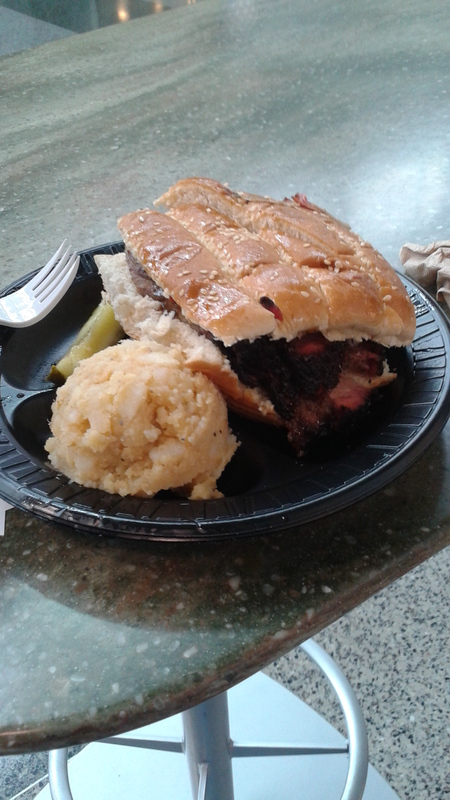 Brisket sandwich from The Salt Lick. So good! I consider myself a big music fan, and usually listen to something while I am studying/working/driving, etc. And even though I have not been able to keep looking for new music as much as I would like to, I am at least very faithful to those bands and artists I already consider as my favorites. 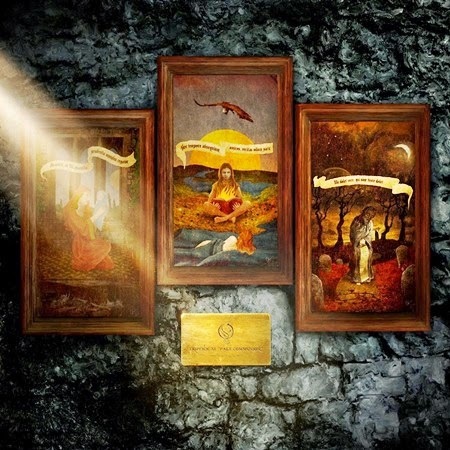 Opeth – Pale Communion (2014). I have been a huge Opeth fan since, thanks to a friend, I listened to Blackwater Park (2001). It’s mix of progressive and aggressive music was just perfect for me, so I started exploring their more doomy period, their aggressive period and I guess I am now starting to digest their proggy period. I will be honest, their previous album Heritage (2011) was too much of a blow for me and I still cannot “forgive” them for going absolutely 70s prog and leaving behind the much beloved (by me at least) combination of prog signatures, hard riffs and doom ambient. But I gave them the chance again with Pale Communion and was truly blown away. Their progressive 70s inspirations are even more consolidated and this is not definitively a metal album, but a prog one. It has some truly beautiful melodies. Highlights: Eternal rains will come, Cusp of eternity. The only album I could listen to and did not distract or disturb me; more over, truly helped me to concentrate and soothe, was the paleolitically inspired O by spanish artist Neonymus (Silverio Cavia), one of the few living persons which I would acknowledge as master. More than one first light found me listening to this album while working. The music is meant to be primitive, but evolves and grows in richness and complexity as the tracks flow. As a curious note, can’t remember if in dreams or in some erratical mental situation, I thought that this album meant a story a-la Assasin’s Creed, going through time telling a story of a series of persons, first in the paleolitic, then on the dark medieval ages, ending up in a trance-like awakening at present time. Just a crazy thought, I guess. Highlights: Funeral Visigodo (all 3 movements), Mati eri marne, Respuesta de lo remoto. 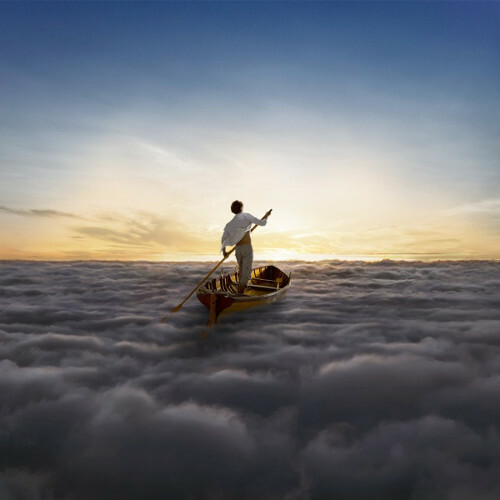 Pink Floyd -The Endless River. An album I have been waiting for about half my life. Pink Floyd has been in hiatus for most of my life, but we got this (for me) masterpiece as farewell. For me it is the perfect instrumental companion / follow-up for The Division Bell (1994). I really enjoyed its intrincate melodies. Highlights: Sum, Louder than words. 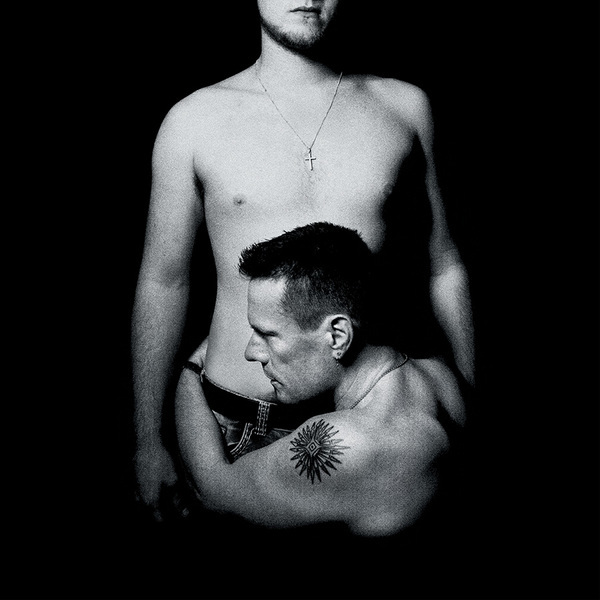 U2 – Songs of Innocence (2015). There are some albums that just come right in a certain moment of life. I has happened to me several times, like for example with El Espíritu del Vino of Héroes del Silencio, Anathema’s Eternity, and I would just keep naming. The same happened with U2’s Songs of Innocence. I think this is one of the few albums in which I have felt something true and personal coming from them, as they usually present somewhat vanal music and lyrics, at least for the last few albums. Not this one, it comes from their very soul. I think of this album as if it had been done in the 80s, near to the time when U2 admired Joy Division. They where finally able to make the internal record they could not do for over 30 years. And by destiny, it came to my life during hard moments with melodies that truly touched me. Highlights: Every breaking wave, Volcano, Raised by wolves. 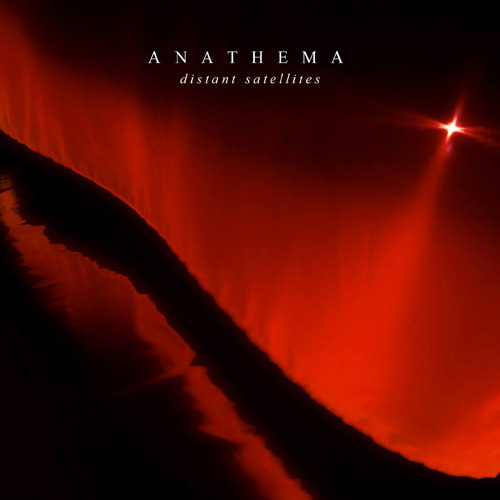 I have been an Anathema fan since I listened to Eternity thanks to the same friend that introduced me to Opeth. Their music has evolved from growling doom/death to doom/prog to, I will venture the term, pop/prog. Sometimes their proposal is not that appealing to me, but Distant Satellites’ first half truly was. The meditative-though-gripping ambientation that they created was just in place with my quiet desperation, and allowed me to manage it better. Highlights: The Lost Song (complete), Anathema (which I consider their “Comfortably Numb”). I had hoped that I would have some time to write on this blog during the summer, but PhD is something that never stops. I do not complain, far from it; I was able to get some good work done during this time. I hope to be able to drop some posts during the following weeks, before school again requires full throttle. My first contact with the Fulbright program was years ago when a dear friend received the honor to study his Masters in Chemistry at Yale. When I started planning for my PhD and was looking around for scholarships, I sincerely did not thought I would stand a chance for it, but luckily something inside me was in a mood for going for whatever it may and I gathered the required documentation (I already had most of it because it is almost the same as the one for an admission request), wrote the essays and applied for the Fulbright – García Robles scholaship, which is funded both by the United States Department of State and our mexican Secretariat of Foreign Affairs. After some time passed, I was required to turn in more documents, take a couple of Internet-based tests, and finally have an interview with an evaluation panel, in english. Unexpectedly, but thankfully, I got an email telling me I had been granted the scholarship. I still can’t believe it. I guess the lesson in this was to try with all your heart and hope for the best. 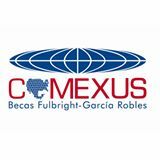 I sadly was not able to meet with the rest of my Fulbright-García Robles generation in an event in Mexico City due to work commitments, but I was fortunate to have met two of my generation peers later.